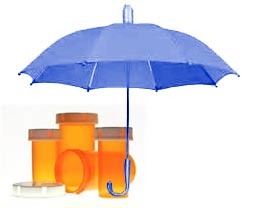 Open enrollment for Medicare prescription coverage (Part D) begins on October 15th and ends on December 7th. We can make educated choices! Richard Salkowitz, Penn’s Village member and volunteer, will demonstrate how to use the Medicare.gov website to select the plan that best meets your needs, taking into consideration factors such as your current medications and acceptable co-pays. Richard has extensive experience in the fields of risk management, insurance, human resources, and employee benefits. So that we can accomplish another another Fall chore, Lindsay Dymowski, president of Centennial Pharmacy Services, has arranged for flu shots to be given right on site. We will meet in the Penn's Village office on the second floor of the First Presbyterian Church, 201 South 21st Street. The entrance is on 21st Street. Please ring the bell to be admitted. There is an elevator for handicapped accessibility. Please let us know in advance if this is needed. This program is free for Penn’s Village members and volunteers. Other guests are welcome to attend three programs before joining and/or volunteering. A $5 donation to Penn’s Village from guests will be most appreciated. RSVP by email at info@pennsvillage.org or phone (215) 925 7333 and please let us know if you will need a flu shot when you register.